Anna Claypoole Peale (1791–1878) was an American painter, specializing in portrait miniatures and still lifes. She was most famous for her strong characterizations of famous men. Peale was among the country’s first professional women artists, and pursued a career that propelled her into the public realm and beyond the typical domestic confines of women’s lives in the 19th century. 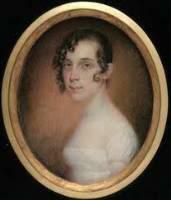 Anna Claypoole Peale was born March 6, 1791 into an artistic family in Philadelphia, Pennsylvania. She was one of six children (all but one of them girls) of Mary Chambers Claypoole and painter James Peale, and the niece of Charles Willson Peale, a well-known portrait painter. Anna’s father James Peale was a painter of portrait miniatures on ivory and of portraits and still lifes on canvas. His studio served as a classroom and studio for Anna and her sisters Sarah Miriam and Margaretta. The girls began by helping their father with painting fabric for shawls, but Anna and Sarah Miriam soon proved themselves sufficiently talented to move on to more lucrative work. Her sisters were also talented, but Anna is the best known female of the family. Anna was rightfully considered a professional artist when she still was in her early teens. 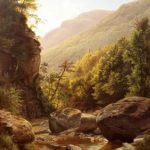 At age 14, she sold at auction two oil copies of French landscape paintings by artist Joseph Vernet. A few years later she began to accept independent commissions. Anna Claypoole Peale dedicated herself to miniature painting, a medium used by all of her family, but in which she excelled. Her uncle, Charles Willson Peale, wrote of her work: “Anna in Miniature is becoming excellent” – a hefty compliment given that he probably was the era’s most famous American painter. After Anna had been working in her Uncle Charles’ studio for a year, he wrote of her progress, “Her merit in miniature painting brings her into high estimation, and so many Ladies and Gentleman desire to sit for her that she frequently is obliged to raise her prices.” Philadelphia was then a wealthy city with a large market for portraiture in an era prior to photography, and Anna had a highly successful career. Anna Peale’s first major exhibition was in 1811, when she was just 20 years old. 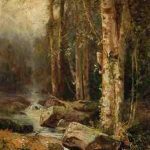 Her work was featured at the first exhibition of the Pennsylvania Academy of Fine Arts in Philadelphia, where her exhibition record there extended virtually unbroken from 1817 to 1842. In 1824, Anna and her sister Sarah became the first women to be elected members of the Academy. Although most accomplished as miniaturist, Anna also painted easel portraits, landscapes and still lifes, just as her male counterparts in the Peale family did. 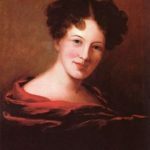 In 1818 Anna Peale accompanied her Uncle Charles on a painting trip to Washington, DC, where she made portrait miniatures of several prominent statesmen of the new republic, including Andrew Jackson, Henry Clay, William Bainbridge and President James Monroe. Her lively style emphasized skin tones, brilliant colors and warm, rich backgrounds. Peale was never financially dependent on her family, which is quite an accomplishment for a woman at that time, especially one who remained unmarried for so long. As a member of America’s first artistic dynasty, Peale played a critical role in the burgeoning cultural life of early-nineteenth century Philadelphia, where she spent most of her adult life. However, she also lived and worked in Baltimore, Boston, New York and Washington, DC. 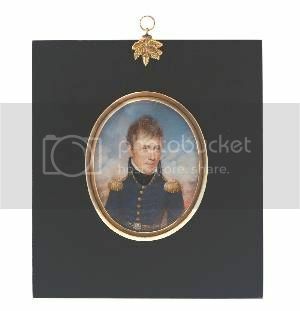 Like other miniaturists painting in the 1820s and 1830s, Peale increasingly used square or rectangular formats as opposed to the more traditional oval shape. Her handsome portrait of the editor, historian and Harvard president Jared Sparks illustrates her finely crafted work. Painting into the 1840s, her vivid portraits with their glossy surfaces competed well against photographs. 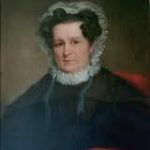 In 1829, when she was 38 years old, Anna Peale married William Staughton, a popular Baptist preacher and former president of the college that now is George Washington University. In December 1829, just three months later, Staughton died. Peale waited more than a decade to remarry and was 50 when she wed General William Duncan in 1841 and retired from painting. Understandably, Peale had no children by either marriage, but she did pass on her artistic knowledge to her niece, Mary Jane Simes, whom she trained as a miniaturist. General William Duncan died in 1864, and Peale resumed her career in art, continuing to paint in Philadelphia until her death. Anna Claypoole Peale died December 25, 1878 in Philadelphia, where she was buried in The Woodlands Cemetery. Anna Claypoole Peale left a great mark on the artistic world and on the world as a whole. Even after her death, Peale’s artwork remains highly appreciated and valued. Her miniatures and portraits of both famous and ordinary people have been collected by curators around the world, and her work and life inspire artists and non-artists alike.